Period style oak pedestal table, pictured here in the dining room of our clients West Sussex village cottage, together with their antique walnut side chairs. This table is actually an extending (or draw leaf) version, where the leaves pull out from underneath the main top, to create a much longer table. In the closed position, you can seat 6 people in comfort. Opened up, seating capacity extends to 10 comfortably. 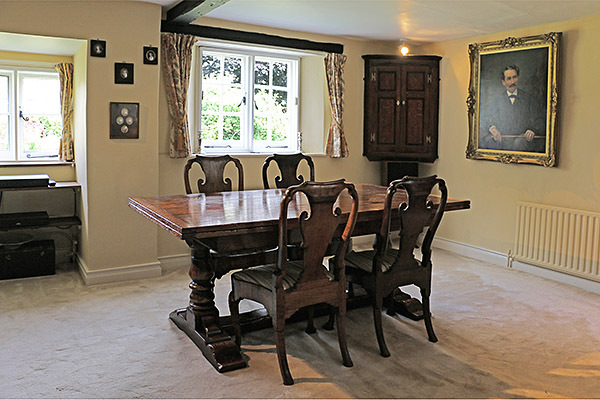 To see this table fully extended in their room, click: Period style oak extending table in West Sussex cottage.